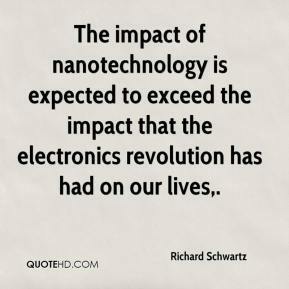 The impact of nanotechnology is expected to exceed the impact that the electronics revolution has had on our lives. 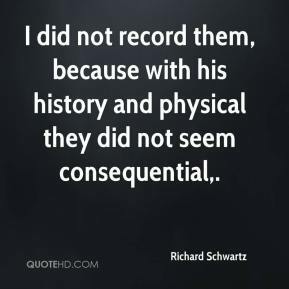 I did not record them, because with his history and physical they did not seem consequential. 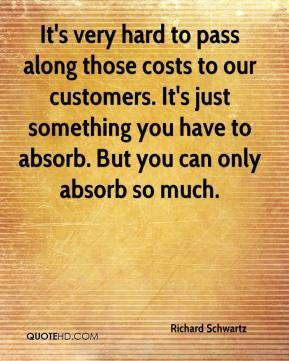 It's very hard to pass along those costs to our customers. It's just something you have to absorb. But you can only absorb so much. We are honored to be recognized by these industry-leading publications for the innovation and capabilities that we offer. 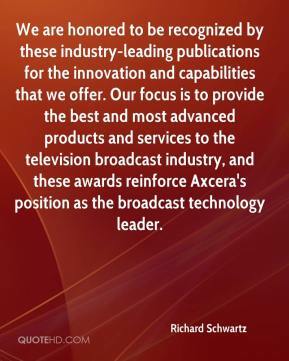 Our focus is to provide the best and most advanced products and services to the television broadcast industry, and these awards reinforce Axcera's position as the broadcast technology leader. 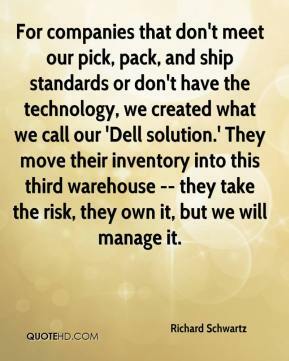 For companies that don't meet our pick, pack, and ship standards or don't have the technology, we created what we call our 'Dell solution.' They move their inventory into this third warehouse -- they take the risk, they own it, but we will manage it.